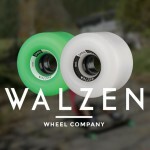 Teamrider Roman Tschofen is having some fun with his brand new Walzen “Insul” wheels. 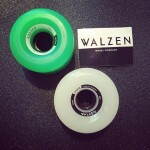 These wheels are 80a (pure urethane, no color pigments) 70 x 54mm with a 37mm contact patch. Made in Europe. 54.90€/set of 4.